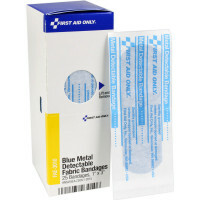 Maintain finger mobility while protecting wounds on your knuckles with this bright blue bandage designed for food services. 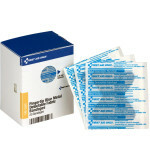 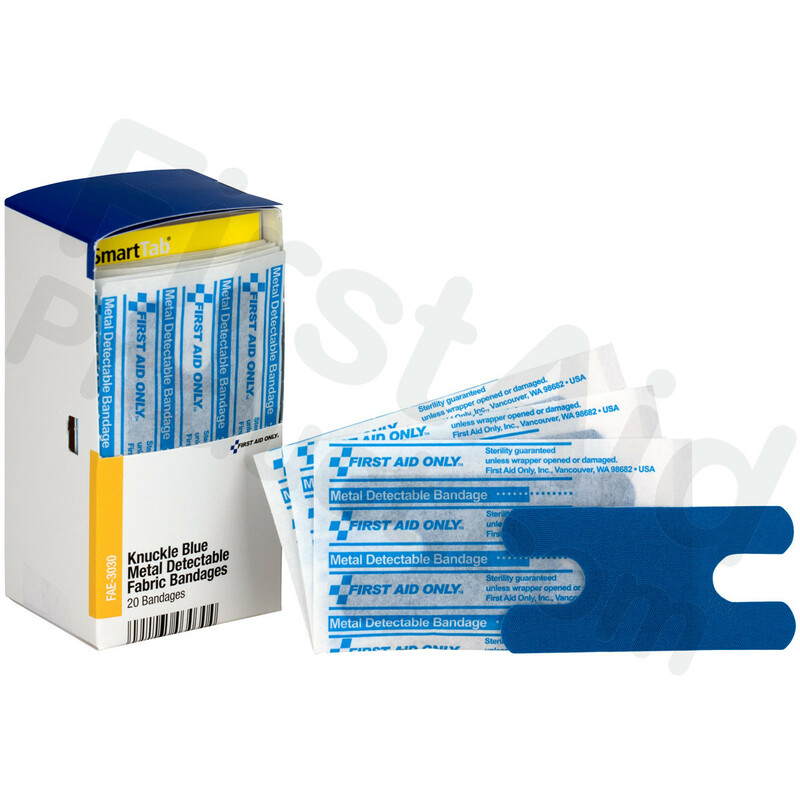 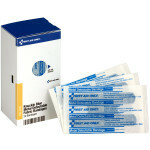 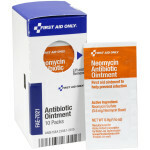 Bandage tabs keep the sterile dressing in place, without restricting movement. Individually packaged for single use, the bandages come boxed and ready to snap into place in our Workplace and Food Service Cabinets. 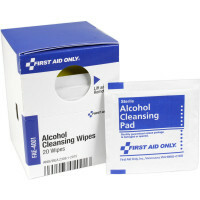 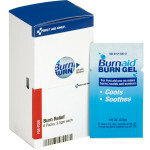 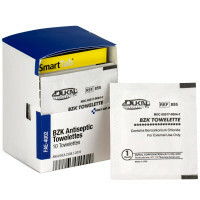 Each box includes a SmartTab® ezRefill indicator tab that alerts you when it's time to reorder. 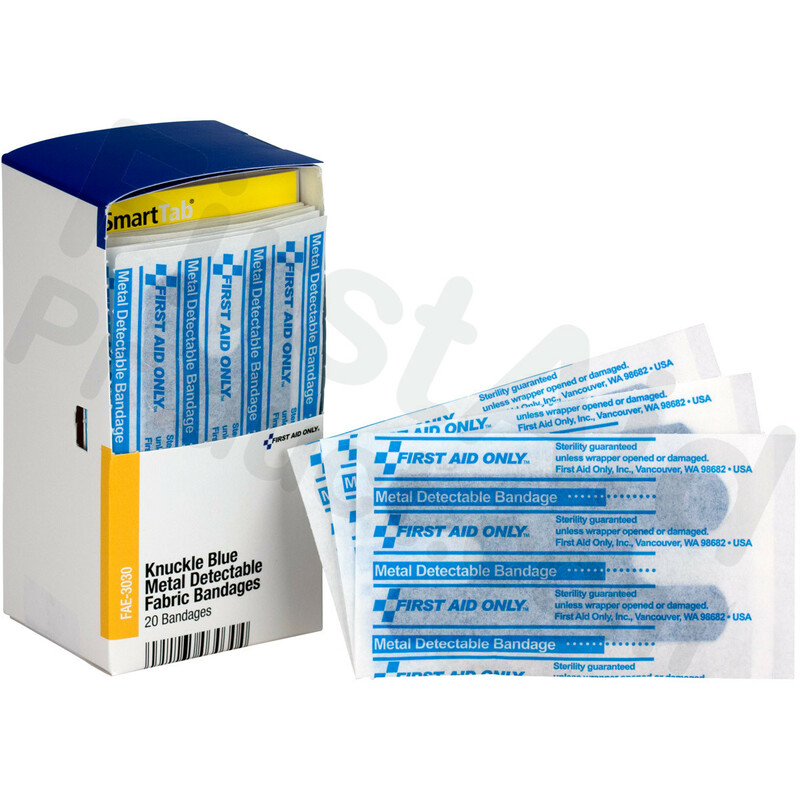 20 bandages per box. 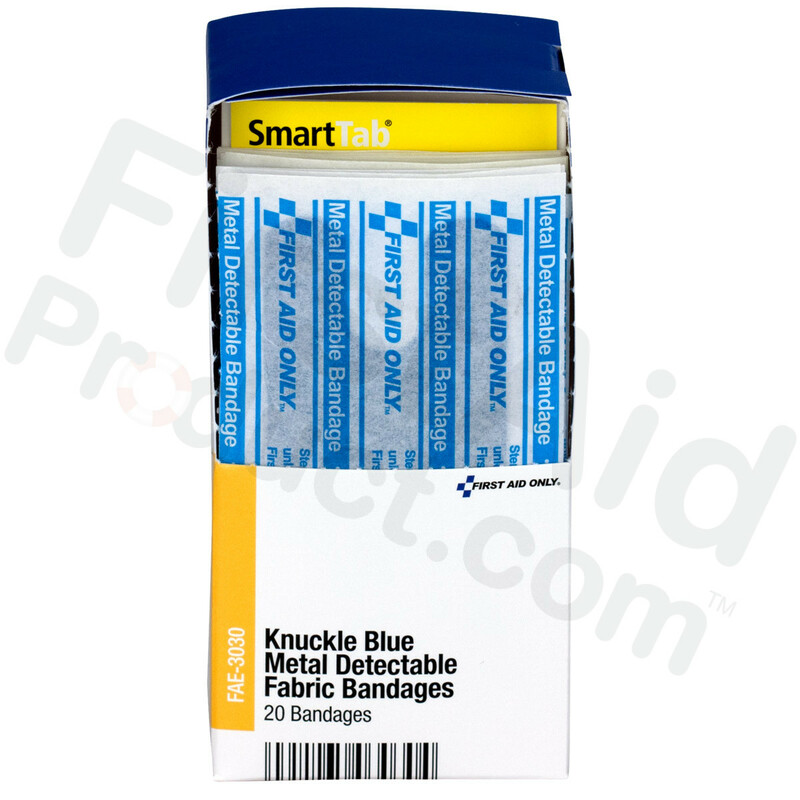 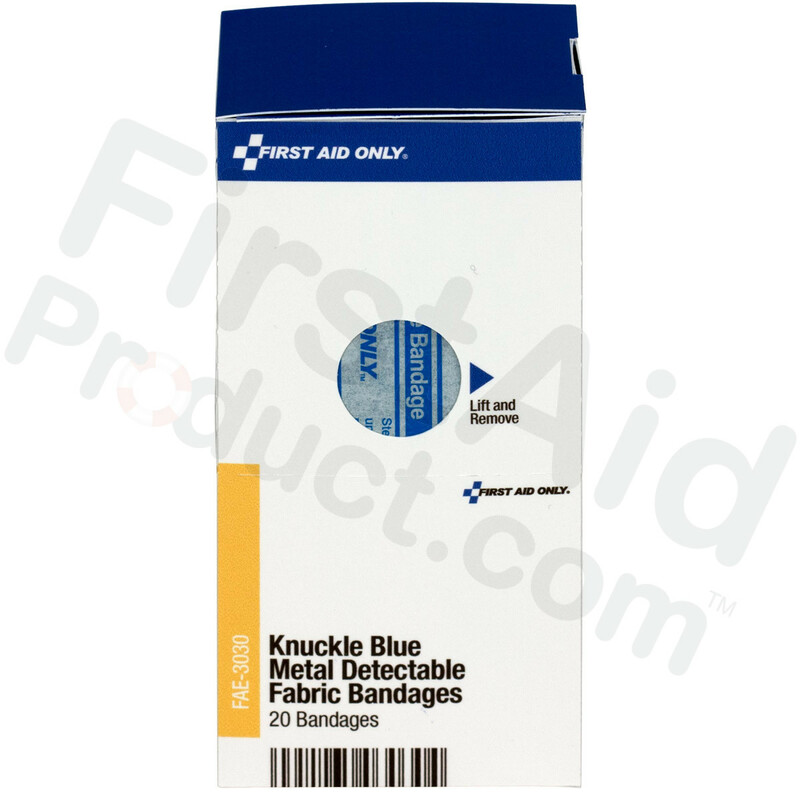 Visible Blue Metal Detectable Knuckle Bandages Latex-Free, 20 each.